Spring is here, and as flowers and trees bring forth new life and color, we are reminded that positive change is possible. Likewise, innovative therapies that have emerged over the years are offering hope to not only have a stronger fight against cancer, but to reduce treatment-related problems during and after the fight. April is Esophageal Cancer Awareness Month and proton therapy is our spring season in cancer treatment. Mary Nell Veazey is currently undergoing proton beam therapy for esophageal cancer at Provision CARES Proton Therapy Center in Knoxville. This is not her first battle against cancer- she overcame breast cancer in 1994 and again in 2001. With this new and unrelated diagnosis of esophageal cancer, Mary Nell had no known risk factors and her signs and symptoms were somewhat atypical- a slight decrease in her appetite and increase in belching without any relation to her diet. Her radiation oncologist, Dr. Allen Meek, says “Because of her history of prior radiation and chemotherapy, and the location of this cancer, proton therapy was the only option for Mrs. Veazey”. A registered dietician and three-time cancer survivor, Mary Nell is well-versed to the potential for nutritional complications related to cancer treatment. Her weight has remained stable during her treatment and she reports only minor discomfort with swallowing. As for her experience at Provision, Mary Nell says “Things are going exceptionally well. It is such a lovely atmosphere, and the people could not be nicer”. She desires to use her unique and inspiring story to help others along their cancer journey and she is interested in becoming an ambassador for proton therapy once she completes her treatment. Mary Nell stresses the importance for people to “listen to their bodies” and seek medical opinion early if an unusual symptom persists. 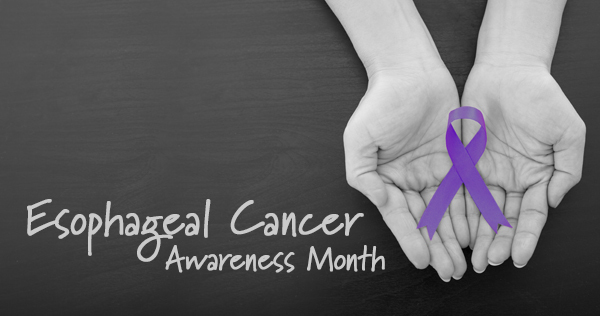 Signs and symptoms of esophageal cancer include indigestion or heartburn, difficult or painful swallowing, weight loss, decreased appetite, pain or sensation of pressure in the throat or chest, vomiting, black “tar-like” stools, and persistent hiccuping or coughing. A person is at higher risk for esophageal cancer if he has a history of gastroesophageal reflux disease (GERD) or Barrett esophagus. This risk increases with obesity. The risk of esophageal cancer may be reduced through avoidance of tobacco and alcohol, maintaining a healthy weight, reduced consumption of red meat, and increased consumption of green and yellow fruits and cruciferous vegetables (cabbage, cauliflower, and broccoli). For more information on proton therapy for esophageal cancer, contact our Care Coordinator team today at 865-229-4689.